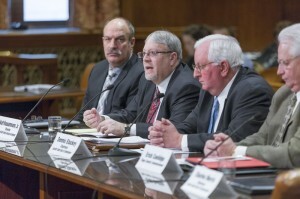 HARRISBURG – The state Senate Environmental Resources and Energy Committee, chaired by Sen. Gene Yaw (R-23), and the Senate Local Government Committee, chaired by Sen. Scott Hutchinson (R-21) today held a joint public hearing to discuss the positive benefits of Act 13 Impact Fee dollars on Pennsylvania communities. 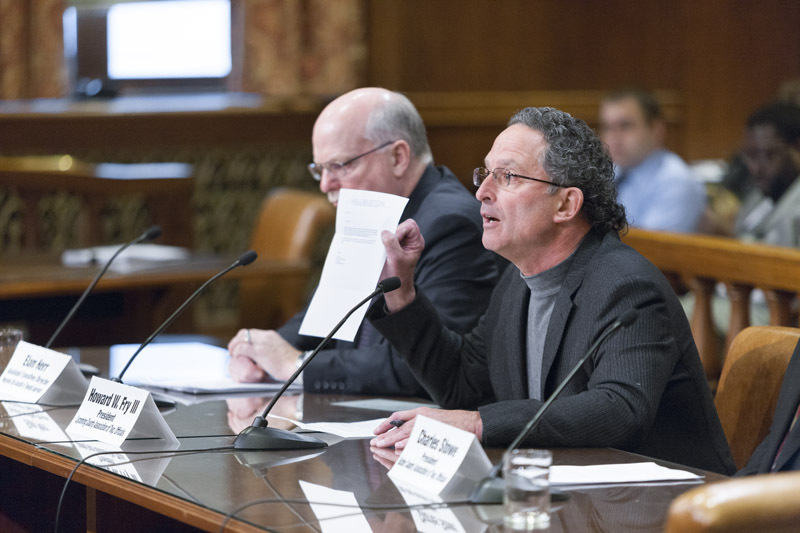 The public hearing featured testimony from counties, townships, conservation districts and economic development organizations throughout the state. Since 2012, natural gas companies operating in Pennsylvania will have paid over $630 million in impact fees to the Pennsylvania Utility Commission. During today’s hearing, Susquehanna County Commissioner Alan Hall addressed important contributions made to Susquehanna County by the industry following enactment of the Act 13 law. The committees also heard from Anthony J. Ventello, Executive Director of the Progress Authority located in Bradford County. Testimony today also highlighted the beneficial aspects of the Impact Fee to the agricultural communities throughout the Commonwealth. During the past several budget cycles, funding for conservation districts has declined; however, Act 13 funds have helped to fill the gap, according to testifiers. 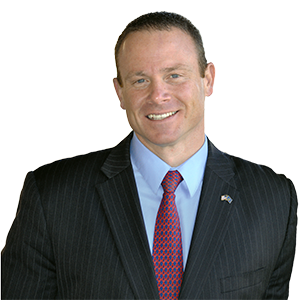 For a complete list of testifiers, along with testimony and hearing Video/Audio, visit http://environmental.pasenategop.com/030315/.